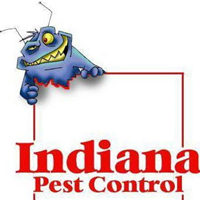 For more than 29 years, Indiana Pest Control has assisted customers in North Central Indiana, including, Ft Wayne, Lafayette, Kokomo, Caramel, Indianapolis and more, with ridding their homes and businesses of pests. Not only can we remove the pests, but we have the expertise to identify those insects that may be harmful and poisonous before they harm you or your family. Trust in Indiana Pest Control, where "We Know What Bugs You." Indiana Pest Control offers Commercial Pest Control, Residential Pest Control Services & Bed Bug Heat Remediation Treatment. Always show up on time. Workers are very friendly and courteous. Was very happy with the service you provided. Great group of people to work with I’ll be recommending them to everyone! Thank you! Indiana Pest Control does a great job of keeping our office free of unwanted bugs and spiders. If we ever have a problem, we give them a call and they stop by at no additional charge to make sure we are pest-free. Technician was very courteous and professional. Indiana Pest control did an excellent job for me. we had to have a job in the past for me, and did an excellent job then also. If you need any pest control, call Indiana Pest Control. Joe called me as asked, arrived on time and called when he was done. I'm not sure what I was expecting but was surprised on all the package details. I would suggest your company and Joe to everyone. Thank you for your time to Write a 5 star review ! means a lot to me , that you Thanked Joe personally in your review, he'll be told of your review. Again thanks for allowing us to help you! GREAT technicians, well educated in extermination and consistent with their word. Excellent ! Glad to know your getting great service from our employees , we appreciate your kind words . We have quarterly service and are very happy. Called once right before they were closing on a Friday for a holiday weekend. We had ground bees. They said they could be very serious and immediately sent some one out to resolve the issue. So glad to hear this ! We really do take stinging insect seriously , not know if anyone is allergic , but safe then sorry. Thank you for 5 stars ! I love seeing dead carpenter ants since I know my applicator dead a great job. He was kind and knowledgable of his craft. Highly recommended and with the utmost discretion. Thanks for the great work! I am very pleased with my service and my technician Gabriel Hartwig. He's very nice man , loves what he does! Noted to him and us thanks ! Josh Taco is the best. Great customer service from him on others!! He's such a big smile guy , always positive , he's been a true blessing to us ! Thanks for your words , I'll be sure to pass on . The office staff and Chris Blazer was professional and friendly when doing our quarterly office spray- as always! Thanks for your help! Very Nice guy I agree , he knows his PESTS ! Thank you for trusting us with your services ! Very kind , thanks ! The staff is always friendly at Baymont too, thanks ! We look forward to serving you. Great service, however when one calls they seem to always have issues with their computers/phone because of a recent up grade and take awhile to get key information. Your staff was very polite and today another person came to make sure everything was ok.
Much Thanks , we remember we too are customers in one form or another. Joe is always here on time and does a great job. He advises us if there are any issues. If there are issues he tells us what needs to happen in order to take care of it. We are proud of our relationship with Comcast and we're proud your services too. ( we use at our office's !) THANK you ! We are , whenever we call regarding an issue, we get prompt, same day service if required. Just what it takes to stay on top of things ! Our techs are the reason , calls come and we go when needed. I am very happy with Indiana Pest Control. The customer service is always so friendly and helpful whenever I have to call. The technicians are all so professional, courteous and friendly. I recommend their services to everyone. Indiana Pest Control is a top notch company. They are very professional and provide excellent service every single visit. Thanks ! All tech's have training in house , in the field and are State Registered. We have had quarterly treatments for several years and are totally satisfied with the service. We would highly recommend Indiana Pest Control. Thanks you for being a Qtly customer , call upon us when ever you have issues between services as well . I wold Highly recommend Indiana Pest control. We are always happy with their service and if anything comes up between our quarterly appointments, they make an extra trip to handle at no added cost. Always quick to get us on to their schedule! They show up on time and are efficient. The Indiana Pest Control employee I worked with was very professional and on time. He was able to handle all my questions and was very knowledgeable about the types of pests in my area. We use their service quarterly. Always ask if we are having any issues and adjust their service accordingly. Very polite and nonintrusive into our business as they work. Recommend. very kind of you, we'll pass to tech that does your service , again thanks ! Well-pleased with this service. After just the first application, we have noticed several dead bugs and NO live ones. The service agent did a very thorough job inside and outside the house. glad you are happy with us , thanks for the review ! Indiana Pest Control has been professional and helpful in my needs for insect prevention. Always their on time and get the job done right the first time.